Colorful गुलबहार, डेज़ी. A dasiy of many रंग. 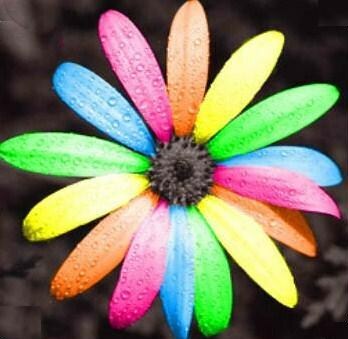 Wallpaper and background images in the रंग club tagged: colors colorful flower daisy. This रंग photo contains एडलवाइस, leontopodium alpinum, एडेलवीस, लेओटोपोडियम एल्पाइनम, एडेलवेइस, रुए एनीमोन, anemonella thalictroides, र्यू एनेमोन, एनेमोनेला थैलेिक्टाइरेड्स, rue एनेमोन, hippeastrum, hippeastrum puniceum, हिपपेस्ट्रम, and हिपपेस्ट्राम पाइनिसियम. There might also be matilija अफीम, कैलिफोर्निया पेड़ अफीम, romneya coulteri, मैटीलीज पोस्ता, कैलिफ़ोर्निया पेड़ पेप्सी, रोमेनेय कल्टेरी, सूरजमुखी, हेलियनथस, हेलिएन्थस, पहाड़ लिली, लिलियम auratum, लिलिअम अरातुम, and तटीय auratum. An नारंगी, ऑरेंज फल called "Orange"